The economic conditions in China, especially in the construction sector, remain volatile. Nevertheless, bauma China, being held at the Shanghai New International Expo Centre (SNIEC) from November 22 to 25, will continue to be used as a presentation platform by many of the big names on the local and international stage. It can also be assumed that the Chinese market will recover significantly in the medium term. This is due not only to the numerous new construction projects stimulating machine production, but also to the new emissions guidelines which necessitate new systems and machines. According to a forecast by Off-Highway Research, the Chinese market for construction machinery will achieve a sales volume of US$17.169 billion in 2016—a slight upward trend. And although the sales figures for construction machinery in China have been falling for a number of years, the VDMA confirmed that in 2015, 20% of all construction machinery sold around the world was still purchased in China. The Chinese market is the second-largest individual market after the U.S. Companies wanting to gain access to the Asian region need to be present here. 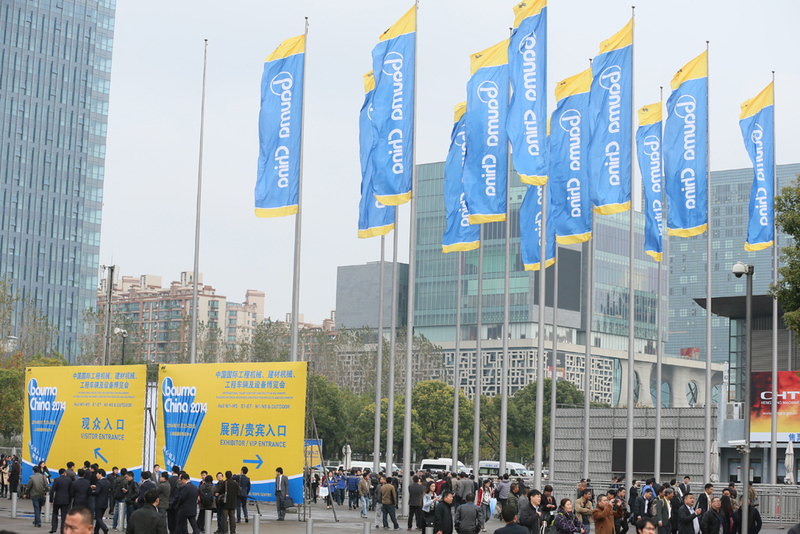 bauma China, with more than 180,000 visitors predominantly from Asia, offers excellent opportunities for this.